Hyundai commenced road-testing of the next-gen Grand i10 in India in August this year. Recently, Team-BHP forum member tushky captured the future model testing on the streets of Pune in a video. As per car spotter, two prototypes of the 2019 Hyundai Grand i10 were being tested together. One of these carried a floating-type touchscreen infotainment unit and a more elaborate MID. The new infotainment system, in addition to Apple CarPlay and Android Auto support, may feature satellite navigation. Other premium features on offer would include automatic climate control, electric-folding outside rearview mirrors, auto-dimming inside rearview mirror, rear aircon vents, keyless entry and push-button engine start/stop. As for the exterior, the car will feature the signature cascading grille and swept-back headlamps at the front. The side profile will be characterised by a large DLO, a rising beltline, wide B-pillars and diamond-cut alloy wheels. At the rear, we expect the new model to feature LED tail lamps and a chunky bumper that will carry the license plate. Standard safety kit on offer will include driver-side airbag, driver and co-driver seat belt reminder (SBR), central locking with manual override, speed-sensing door locks, impact-sensing door unlock, rear parking sensors and ABS. The higher variants should offer dual front airbags, rear parking sensors and a rearview camera. Underpinning the 2019 Hyundai Grand i10 will be an updated version of the current car's BA architecture. The company is likely to use several reinforcements to enhance the platform's rigidity. Powering the new model will be the current car's 1.2-litre Kappa petrol motor. The 1.2-litre U2 CRDi diesel engine could be given a miss owing to fast-dropping sales of diesel-powered small cars and the high investment required in the upgrades for BSVI-compliance. 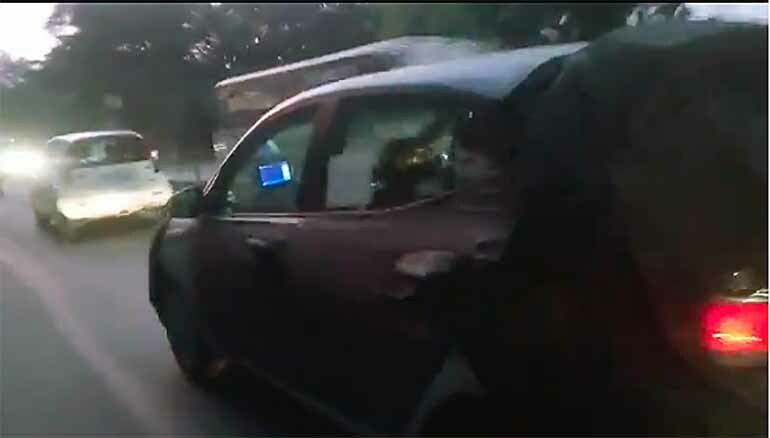 Transmission options will include a 5-speed manual and a 5-speed Smart Auto automated manual transmission that has made its debut on the 2019 Hyundai Santro. Owing to the dwindling demand for diesel-powered small cars and the high costs of the BSVI upgrade, the 2019 Hyundai Grand i10 could be launched without a diesel engine. The 2019 Hyundai Grand i10 is scheduled to launch in India in October 2019. Its prices could start at roughly INR 5 lakhs. It should come across as a suitable alternative to the high-selling Maruti Swift.